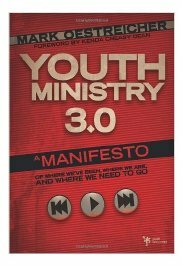 Yesterday I finally read Youth Ministry 3.0 by Mark Ostreicher, and since I’m one of the latecomers to the conversation I won’t summarize the book too much. Marko has linked to tons of reviews on his blog if you are interested in more in-depth summaries. If you are fairly in-tune with a lot of the latest conversations around the ineffectiveness of youth ministry then this book will not be much of an eye-opener. You could actually turn to page 78, read the chart on that page, and then pick up reading from there without missing too much. However, if you think youth ministry is rockin’ along, you just finished polishing the 60-inch plasma in the youth room, and are stoked you booked David Crowder to come to your DiscipleNow weekend, then start reading with the forward. I am in almost total agreement with Marko’s description of the past and where we are currently and his prescription for a move into the future. This is a down-to-earth, readable, brief (125 pages with largish print), imaginative book that should begin to move youth ministry in the proper direction. 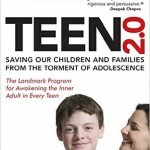 For this reason, I’m including it in my “Best Youth Ministry Books” category. The book succeeds at doing what it has set out to do, which is convince us that youth ministry is failing and we need to set a new course. This book would be a great way to get parents, volunteers, church staff, or even older youth involved in the conversation of moving into a 3.0 style of ministry. So, this book is helpful in that respect. Now, here’s where the book let me down. 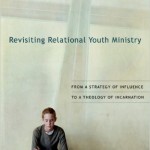 As I read it, the book was structured in such a way to say that youth ministry’s forms have adapted to the culture. The reason that we are failing is because youth ministry has not moved along with adolescent culture into the third epoch. Thus, the effectiveness of youth ministry is tied to its ability to make changes in line with the culture. I have a problem with this cultural definition of success. Essentially, the book seems to be saying that our ecclesiology needs to be informed by the culture. I disagree, and I’m going to get nit-picky here. Yes, postmodernism has created a cultural shift, but the reason it has done so is because our assumptions about modernism were faulty. Modernism failed. Postmodernism is a critique of the modern emphasis on a scientific, objective, rational epistemology. Why this matters for the church is because we cannot separate epistemology from our hermeneutics, which means we read the Bible differently than before (and I would say, better). Our assumptions are changing about what it means to do and be the Church. This is as much an ecclesiological shift as it is a youth ministry shift. I wish the book would have spoken more towards some of these deeper issues. We are literally rethinking some of the ontological assumptions about the church, not just how to change the medium through which we proclaim a timeless message. Part of the message is changing. The gospel is no longer a message the the church proclaims, but it is a message that the church bears in it’s essence. We are relearning what Paul meant when he said the church was the Body of Christ and that we are a people of the Spirit. The radical quote by Bonhoeffer that “The church is the presence of Christ in the same way that Christ is the presence of God” is starting to take root. By making the argument a cultural one, we can say that youth ministry 1.0 was a good thing, youth ministry 2.0 was a good thing, and youth ministry 3.0 will be a good thing because they were simply cultural adaptations. No one’s toes get stepped on that way. To make the claim that there are ontological shifts occurring in our ecclesiology is to suggest that part of the old way was wrong. I know it’s a bold thing to say, but I think it needs to be said. That’s not to say that youth ministry 3.0 and the wider ecclesiology that it fits into will be perfect. But I am saying that we won’t be wrong in the same way that the modern church was. The movement that comes after us will likely show us where we were wrong and missing the boat. Marko has written a book that does a good job for most of our churches at getting people up-to-speed in only 126 pages. Because of that, I will likely buy it in bulk and hand it out. But I will also push people beyond the cultural argument made in the book and try and get at the deeper theological issues that are changing the way we think about our faith. wow — great review, and really good push-back. thanks! Sure thing. Thanks for being bold enough to write the book and realize the important role YS plays in helping to make the 3.0 shift. it IS a message, always has been always will be. Hey Brian, glad we agree. Actually, my language was a little sloppy there. As I said, it is still a message. But the way we understand the proclamation of the message is changing. We’re still proclaiming the message, but realizing that not only is it a message of personal salvation, but also of communal transformation.